Looking for things to do in Paris that are away from the tourist scene? Read on to learn about the top non-touristy things to do in Paris. Are you looking for things to do in Paris, but dread all the people flocking the popular tourist spots like the Eiffel Tower? Paris is one of the most visited cities in the world, having 17.44 million overnight visitors in 2017. This is because of how there is to do in the city. There are several notable landmarks, monuments, and restaurants that people talk about in social media, increasing the number of people who want to go there too. If you are one who dislikes crowds, lines, and the sense of pressure they bring, then you’ll be happy with what we have for you. Below, we’ve prepared a list that allows you to make the most out of Paris without having to deal with a large crowd. Have a look at these 8 fun things to do in Paris. While everyone is packing themselves like sardines in the subway trains, you can enjoy riding around the city in your own personal Vespa. These small motor vehicles are perfect for exploring Paris. You don’t inconvenience the roads when you’re traveling, and they’re small enough to fit through the smaller paths larger vehicles can’t take. A Vespa also packs enough fuel for you to be able to explore the points of interest in Paris in a single tank of gas. Several businesses offer to rent you a Vespa for a day or 2. Some also offer a tour where a local tour guide drives you around to the spots with fewer tourists. You can opt this if you want to be able to see the sights as your designated driver takes you around the city. It’s no secret that street art litters the streets and walls of Paris. It’s become a staple of the city that, in the years prior, people stopped bothering to wash them out as they’d find new, bigger ones in the same spot the following day. The tourism office in Paris even made a list of spots where you can find the best ones. Even the infamous Banksy made a mark here. What’s great in doing this is that you’ll always be on the move. You will not only go on a hunt for art, but you’ll also be able to take in the city of love in all its magnificence. Plus, there’s always the chance you may come across newer graffiti that’s not on the list. Some street artists work at night, allowing them to surprise the masses in the morning. You never know what art you’ll come across in Paris. Paris has many stylish shopping malls. However, the problem with these malls is that everyone knows about them. This means more people, more crowds, more queues, and less time to spend shopping. Instead, why not check out the Marchs aux Puces for your personalized tour? It’s not your standard shopping center, most people don’t even consider it a proper shopping center, but you can find the most interesting objects to procure. This is a place of interest to anyone who takes a liking to history. This is because the vendors in Marchs aux Puces all sell things straight from the past. Here, you can find everything beautiful crystal chandeliers to handcrafted mid-century chairs, all from the 19th century. A place to go to if you fancy collecting things from the past, indeed. The city of Paris has many attractions in the ground, the sky, and the water. Cruises are a part of those attractions on the water. 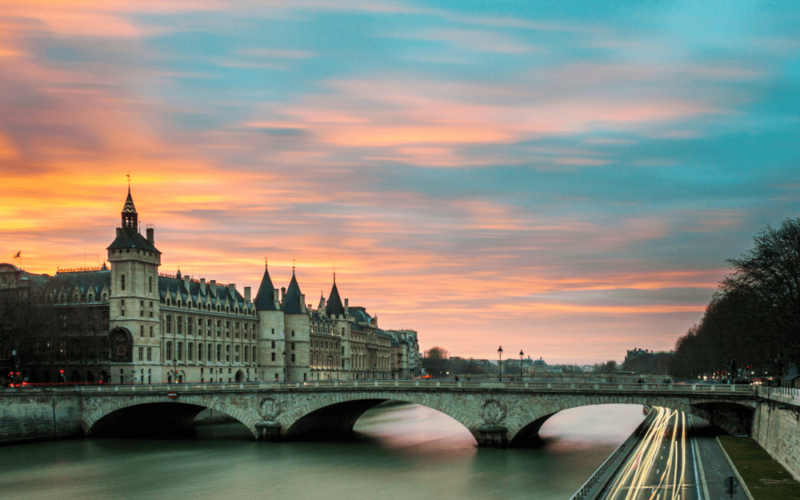 Unlike the intimate boat rides in Venice, cruises in Paris offer luxury while traveling. Paris offers a variety of cruises you can choose from. If you want to see the sights of the city, there are ones that stay close to the shore. Fancy a fancy feast while on a ship? All cruises have their own menu, but others like take it a step further and offer a unique dining experience. Whatever sort of cruise you’re in the mood for, Paris has it for you. You only need to check among the many regular cruises the city has every day. If you’re like spookier adventures, consider visiting the city’s underground ossuaries. This network of tunnels holds the remains of over 6 million people. It also covers a large area of the city, so you can be sure you’ll have an adventure if you decide on visiting. Also, there is no need to worry about getting lost. The tunnels are easy to traverse and there are many signs posted along the way. That said, be sure to prepare yourself for the adventure. Exploring the entire tunnel system may take up to 1 hour. So, pack all the essentials like water and what medication you need to take. Picnics are among the best things to do in Paris and they can be more than a typical outdoor meal. It’s also a chance for you to soak in the sights as you relax with your friends or family. The city has a lot of ideal spots for a picnic. The best one to go to is Champs de Mars. It’s found underneath the Eiffel Tower and has a beautiful view of the city. Many other spots also offer unique experiences, like Place Dauphine. Place Dauphine is more suitable for those looking to spend a quieter time away from the city. What to do in Paris? Eat, of course! It’s the place of fine dining in the country of gastronomy, after all. Pastries are another specialty of Paris, which is why it has numerous sweet shops for all the sweets you can think of. From cannals to ice creams, the city has a shop for each one. This makes hopping from one pastry shop to another a great idea to spend the day. What better way to round off our trip to Paris than by learning something from the city? Inside the city, there are many cooking classes you can attend even if you don’t have a reservation booked beforehand. They’re located quite close to all the popular hotels and popular places for tourists to stay in. So, you can be sure to find one with ease. Looking for things to do in Paris? Our guide should help you decide what to do while keeping a distance from the crowds. Read and make your own personalized tour now! Before you go traveling, it’s important to make sure you have everything you need. Check out our ultimate vacation checklist to make sure you didn’t forget anything.